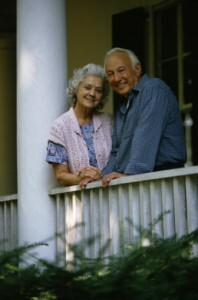 Deciding to move to a retirement facility is a big decision and can be a very stressful time in your life. At Pratt Van Lines we give specialized attention to seniors; we go out of our way to make your move go as smoothly as possible so that you have the peace-of-mind you need to comfortably settle down in your new life. We know that moving your household belongings in a safe manner is important to you, and one thing you don’t need is something bad happening to your precious belongings. That is why at Pratt Van Lines we provide comprehensive tenant relocation services to ensure your personal belongings receive the careful attention they deserve throughout the moving process. At Pratt Van Lines we provide complete packing and unpacking of your belongings: we place your personal items in your cupboards, cabinets and closets and will even hang your artwork. In addition, we can help move belongings that won’t fit in your new home to a storage unit. We are dedicated to helping you set up your new home so that you can start enjoying your new life in your new home sooner. Ask about Our Senior Discounts Call 505-250-3949 for a free quote from a full-service New Mexico mover today! By providing superior senior citizen relocation services (including packing, moving and unpacking), we strive to help you best adjust to your new home without the stress and anxiety involved with moving all of your belongings. Pratt Van Lines is licensed and insured and has the experience, knowledge and integrity necessary to properly care for your belongings when in transit. Please contact us about our special discounted rates for seniors; let us help you through this stressful transition in your life.